sabotage was carried out by “pipeline vandals and oil thieves”, which is a very convenient phrase used in shielding the truth from the public. 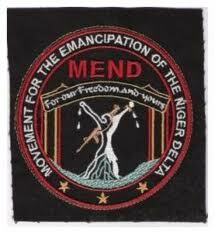 ” MEND stated that thorough investigations will reveal that the bomb fragments from the blast were the same in the Warri Refinery explosion of October 22, 2013. It further warned of more attacks on the oil industry “ due to the inaction of President Goodluck Jonathan who continues to rely on an unsustainable and fraudulent Niger Delta Amnesty programme which is only a guise to line his pocket, his wife’s Patience, cronies and members of the Amnesty Committee whose sudden wealth remains unchallenged by the Nigerian media. ” The group concluded that the entire Amnesty process was a fraud on the people of Nigeria who are being promised peace in the Niger Delta, in the absence of justice, adding that ‘Hurricane Exodus’ is still on course.